Energy Assist - Save Money. Save Energy. Heating, ventilation and air conditioning (HVAC) systems are responsible for up to 35 percent of energy consumption in industrial facilities. HVAC systems consist of equipment, distribution network and terminals used to provide heating, cooling and humidity control in a specific building. 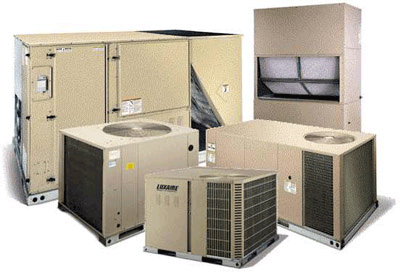 Generally rooftop units, chillers, heat pumps or air conditioners can be used in facilities to provide cooling. Heat pump units, rooftop units, boilers and furnaces, radiant heaters, or electric heat can be utilized for heating purposes. While the appropriate equipment selection and system design prior to installation in the facility is greatly important for effective and energy efficient HVAC system operation, generally there are other opportunities which can be recommended to save energy and money in this section. The following recommendations are the most common practices for effectively saving energy through HVAC systems. These recommendations include installing programmable thermostats, replacing convective heaters with radiant heaters, and installing outside air economizers. Replace the conventional thermostats with programmable controllers to raise/lower the set points for the air conditioning units in the office/production areas after working hours and on weekends. Programmable controllers can be set to adjust the set points to "nighttime" mode when the employees leave, and return the set points to the desired temperature setting two hours before the employees return. The installation and appropriate use of programmable thermostats will reduce energy consumption of the cooling and heating units by reducing their total operating hours. By implementing this recommendation average savings of about 30% of total energy consumption for the HVAC can be realized. The typical simple payback for this recommendation is less than a year. The use of radiant space heaters to deliver heat directly to the workers in any area, rather than using convective heat is recommended. The typical convective heaters warm the air, which then rises to the ceiling of the facility, and the warmth is delivered to personnel only after the entire volume of air inside the facility has been heated. Radiant heaters should be installed in areas in which workers are located, providing comfort for workers while heating a minimum volume (as opposed to the entire facility). According to ASHRAE , radiant infrared heaters typically use 33% to 50% less energy than convective heaters. Implementing this recommendation can result in average savings of about 40% of total energy consumption by heaters with the average payback period of approximately 1 year. Install air side economizers on the HVAC system units to help with cooling during the winter months. Air side economizers can save energy in buildings by using cool natural outside air as a means of cooling the indoor space. This can be done by installing logic controllers to the HVAC system to turn off the condensing unit when the temperature of the outside air is equal to or less than a specific limit, e.g. 55°F. Under these conditions no additional conditioning of the outside air is needed and free cooling will be used by simply adjusting the mix of outdoor air and return air. By installing air side economizers in the HVAC system, energy and cost savings will be realized. Average energy savings of 25% of the total energy consumption in the HVAC section can be realized by implementing this recommendation, with an average payback period of less than a year. The following recommendations outline additional ways to save energy within various HVAC systems. These recommendations are sometimes customary to specific facilities, but are still reliable sources for energy savings. Install or improve the insulation on HVAC distribution systems (pipes, storage tanks, etc) can prevent energy waste through the surfaces. It is important to use appropriate insulation (material, color and thickness) for each specific application to make sure the minimum losses occur through the surfaces of HVAC distribution systems. Replacing the existing HVAC units with more efficient larger units can result in significant energy savings. As a consequence of age, some of the units are not as efficient as they used to be. Additionally, advances in technology have made newer units more efficient. The benefits to having larger, more efficient units are reduced energy consumption and less maintenance. Several industries require specific humidity level for their production, and it is also an important factor for comfort of the workers. It is a common practice to use conditioned air to keep the humidity and temperature regulated. A good alternative is implementing a desiccant-based dehumidification system to address the humidity problems in the plant. The system works by bringing a portion of the supply air through a desiccant wheel, which attracts water vapor. As a result, the supply air leaving the desiccant wheel contains less moisture. The desiccant wheel slowly rotates to the reactivation stream. This stream heats the wheel and evaporates the absorbed moisture, which exits in the reactivation stream. As the result, it could be possible to shut down the cooling systems or at least use less energy to provide cooling. Close the doors and windows when they are not in use. It is recommended that the facility purchase and install signs to remind employees to keep the doors closed while they are not in use. This will prevent the loss of conditioned air, and therefore reduce the electricity consumption of the air conditioning system for most of the year. Enforcing a closed door/windows policy would be necessary to reduce these losses. Adding vinyl strip / high speed / air curtain doors will reduce the waste of conditioned air through the door openings. As the result, the HVAC units work less which lead to energy and cost savings. Can you help manufacturers implement energy saving changes? If so, we might like to feature your company on the site. This site is made possible by a grant from the Department of Energy through the Alabama Department of Economic and Community Affairs. We're always eager for feedback, so feel free to contact us.